A Place of Warmth at Zion will hold its winter volunteer training and open house at 7 p.m. on Tuesday, Dec. 4, at the Zion United Church of Christ, 51 W. Central Ave., Delaware. In its fourth winter, A Place of Warmth at Zion provides a safe and warm place on nights of extreme cold – temperature of 20 degrees or below – for homeless men. Since it’s opening, the center has provided overnight housing to dozens of men of which are native and transient in nature. • Attend a training for new volunteers and a refresher for returning/past volunteers; future training dates will be announced at a later date. Recognizing the need for continuity, the warming center will now have an on-site employee who will be present during the entire 12-hour shift. 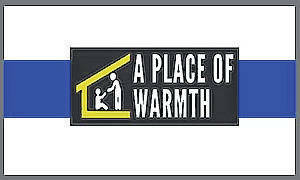 Police officers will also continue to be present during intake hours from 8 p.m. to 10 p.m.
To donate or sign up to volunteer at A Place of Warmth, contact Dennis at 740-363-5000 or visit ConnectionsVolunteerCenter.org. Founded in 1996, Connections coordinates the referral and placement of volunteers for more than 70 different agencies who offer more than 200 volunteer opportunities. In the past year, Connections matched over 1,300 volunteers who engaged in nearly 12,000 hours of service to the community. A program of HelpLine, Connections core services are partially funded by United Way of Delaware County and SourcePoint. Follow The Gazette on Twitter @delgazette. Like The Gazette on Facebook.